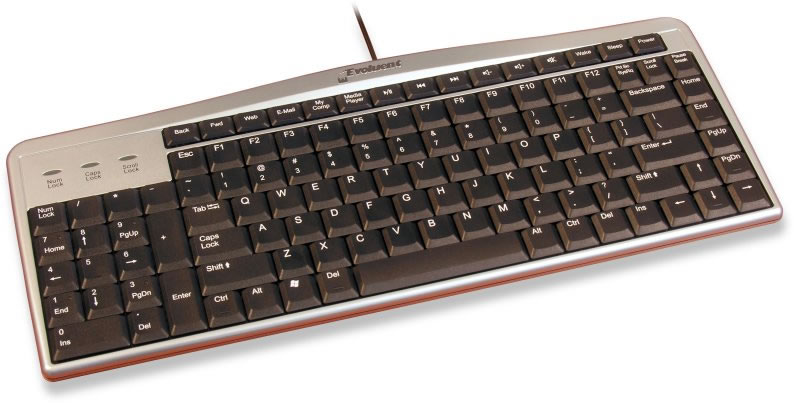 The Evoluent Mouse Friendly Keyboard departs from traditional keyboard design by moving the numeric keypad to the left. This brings the mouse closer to the user and reduces the risk of developing an RSI from repetitive over-reaching for the mouse. Standard keyboard layout positions the numeric pad to the right of the primary keys. This layout was conceived prior to the existence of the mouse and current gaphic interfaces. At the time of the original design the majority of keyboard use was for data entry, often with a high emphasis on numeric data so the design was logical. With the introduction of graphical user interfaces and the mouse most current computer users spend little to no time on the numeric keypad but great amounts of time on the mouse. The result is that the numeric pad is now in the location that the mouse should be located. 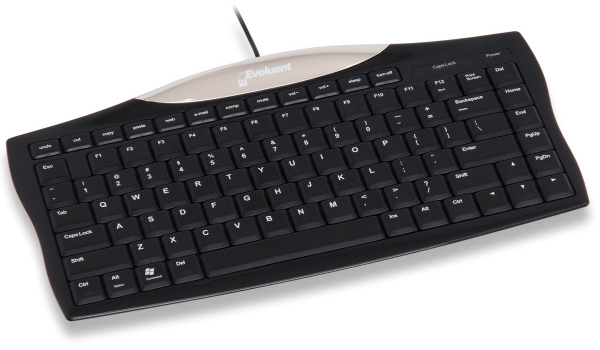 The innovative design of the Evoluent Mouse Friendly Keyboard moves the numeric keypad to the left, enabling users to bring the mouse from 5-7 inches closer than with a conventional keyboard. Standard keyboards have the numeric keypad where the mouse should be. The result is that your mouse is too far away. The Evoluent Mouse Friendly Keyboard positions the numeric keypad on the left. This enables you to bring your mouse much closer on the right. Standard keyboards force your arm to stretch outward to reach the mouse. This rotates the shoulder outward and exerts unnecessary lateral force on both shoulder and elbow joints. The Evoluent Mouse Friendly Keyboard allows your mouse to be aligned directly in front of your shoulder. The result is that your arm is in a relaxed neutral position when using the mouse. Since most computer users use their numeric keypads only occasionally they will usually adapt very quickly to the new location of the keypad. The increased comfort which will result from the better positioning of the mouse will make users open to doing their occasional numeric keying with their left hand. This also means users who need to enter numerics while moving between fields with the mouse may experience an increase in their speed over time. Only 0.5” (1.3 cm) thick overall with ultra flat key caps. Don't Need a Numeric Pad on your Keyboard? Need an ergonomic mouse to go with your Keyboard? The Perfect Companion for all Mouse Friendly Keyboards! 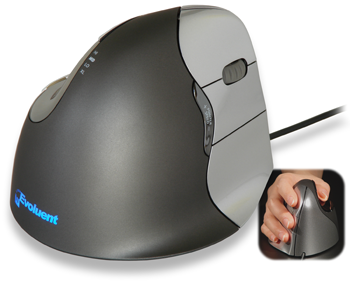 Ergonomics of the Evoluent VerticalMouse 4 Product Details Which Size?